Every year, thousands of Colonials volunteer to serve in a variety of ways—from representing GW in a region to mentoring current students or helping to plan your reunion, there are countless ways to make an impact on the GW community. As a GW volunteer, you will have the opportunity to serve alongside other active Colonials and continue to strengthen your personal and professional network. 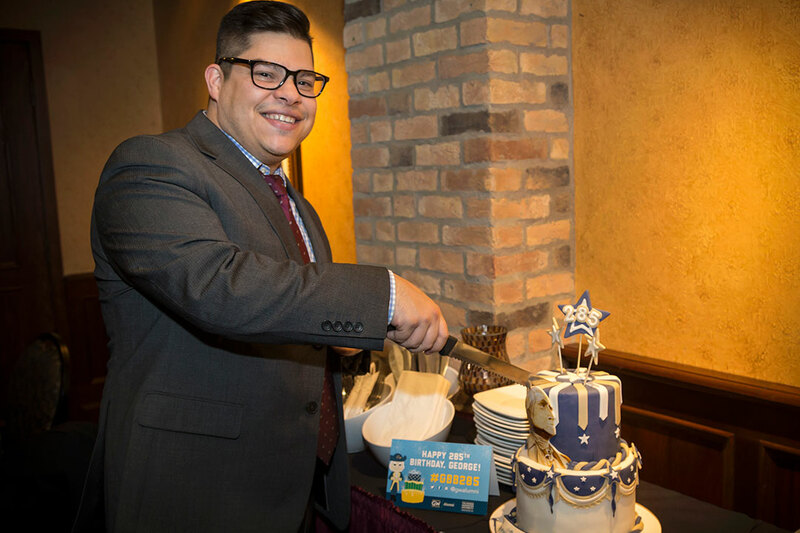 Volunteering for your alma mater is an excellent way to stay connected and ensure the GW legacy is sustained of years to come. We look forward to connecting you to an opportunity that is most meaningful to you. Represent and plan events for alumni in your local community, promoting the GW spirit around the world. 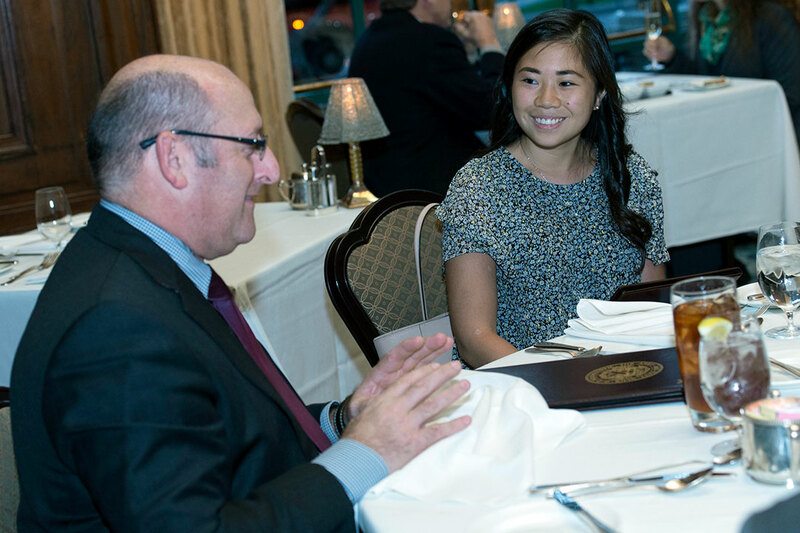 Host a dinner with students to help build connections and discuss shared professional and personal interests. Create and execute professional programming based on one of GW's eight industry networks for alumni. Description: The Dinner with Alumni program offers GW students the chance to build connections and network with alumni over dinner. Hosts organize the dinner details including: picking a location; making a reservation; paying for the dinner; and selecting the number of students they would like to host. During dinner, hosts share their positive GW experiences and discuss strategies for major selection, career direction, and leveraging leadership involvement. Read the full position description. Time Commitment: 1-2 hours planning and preparing for the dinner. Dinners usually last approximately 2 hours. Philanthropic Commitment: Hosting a Dinner with Alumni event is considered a gift-in-kind to the university with submission of receipts. Contact: Ready to jump in? Apply to host a dinner. Description: A member of an Industry Leadership Council (ILC) will work with GW to create and execute industry-based programs, both in-person and online. ILC members will take an active role in all facets of industry-based programs that strengthens and promotes an invested alumni community. Read the full position description. Time commitment: ILC members are expected to participate in an average of two meetings/year. Most volunteer tasks can be completed at leisure within the deadlines determined by the ILC and OAR. ILC members are expected to serve a two-year term. Philanthropic commitment: Members of an ILC are expected to make an annual gift to GW each fiscal year, with a goal of giving at the Luther Rice Society level, which has a sliding scale depending on the number years since graduating from GW. Contact: Ready to jump in? Sign up to learn more. 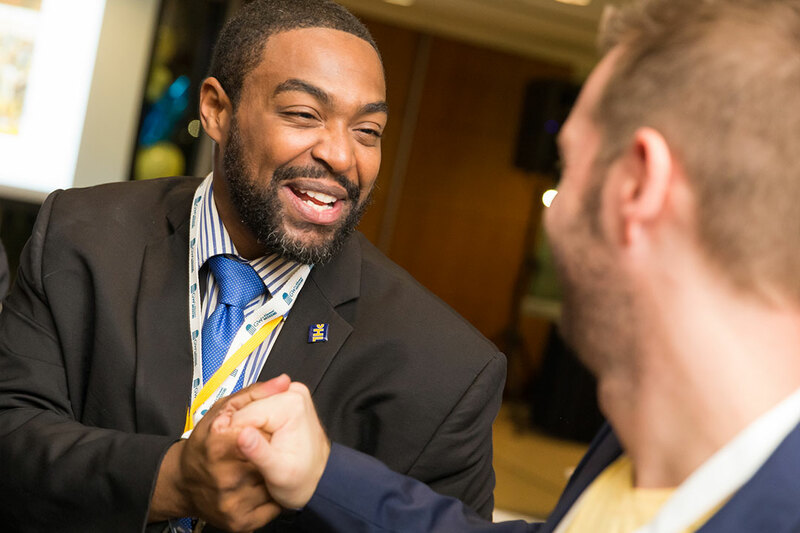 Description: The regional alumni networks are led by alumni volunteers who wish to reconnect with GW and with fellow alumni in their geographic area. Among many responsibilities, regional volunteers are expected to positively represent and promote GW in the region; develop action plans and events appropriate to each region in support of the university’s strategies; and lead and coordinate all aspects of planning and executing regional events. Read the full position description here. Time Commitment: Regional volunteers sped approximately two hours per month in network related activities. Volunteers are expected to serve a one-year term. Philanthropic Commitment: Regional volunteers are expected to make an annual gift to GW at a level of individual comfort.